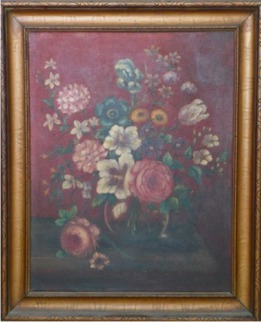 These paintings were done by my grandmother. She was an oil painter and mostly painted flowers. 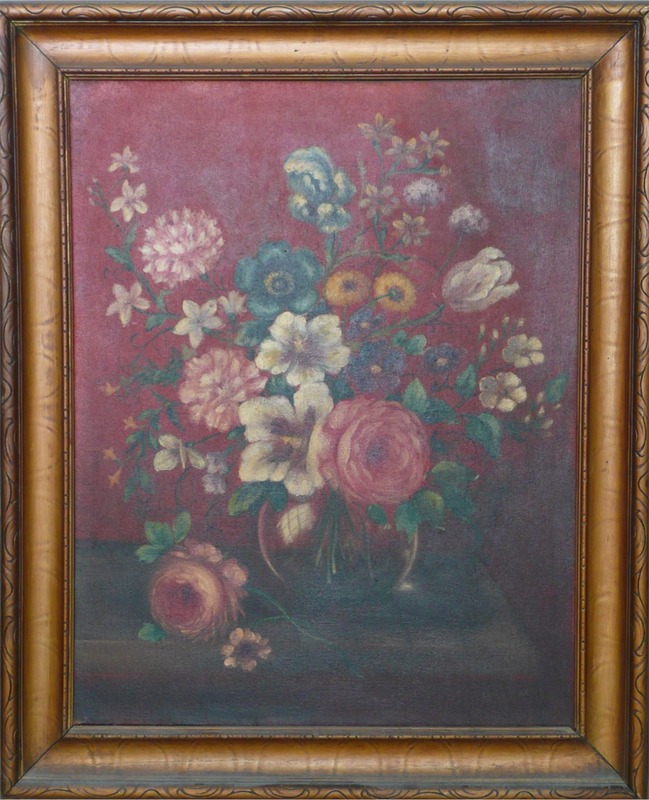 When she was in her 20's she had a job painting furniture with detailed designs and flowers at a furniture factory. At one time there were many paintings in her house but these are all that remain or that we know the whereabouts of. 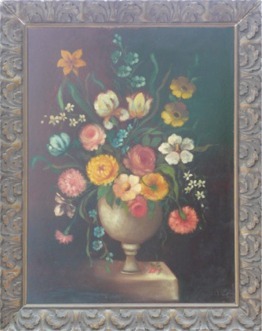 This Flowers & Vase painting was probably completed during the 1920's-1930's. My best guess is that they were done when my grandmother was in her 20's. 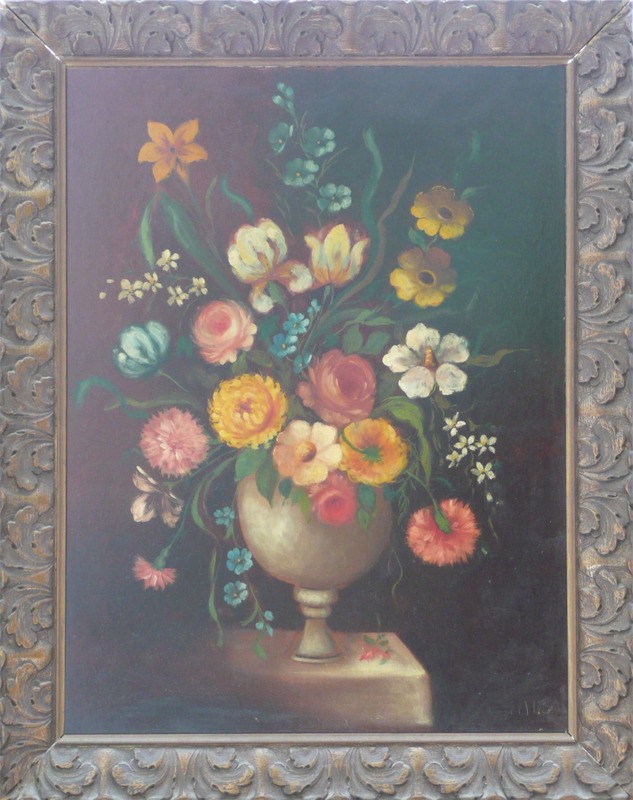 This Flowers & Vase painting was painted on some type of wooden board rather than on canvas.